Calling all asthmatics in Northern California and San Francisco Bay area. 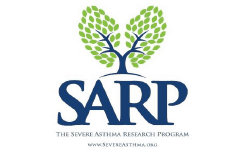 Enrollment for the current nationwide, NIH funded, Severe Asthma Research Program (SARP) is nearing completion and the study site at UCSF could really use your help to meet their study quotas. Please consider volunteering as a research subject for this very important asthma study. Not only will you be contributing to a better understanding of this complex, often debilitating and potentially fatal disease, but it also affords you away to connect with some of the most knowledgeable and respected asthma specialists in the world. If you have severe asthma like I do, then you just how important this can be. SARP is a data collecting study, as opposed to a clinical trial of a new drug or therapy. It only involves 2 to 4 in-person visits initially, and then one follow up visit per year for 3 years. You’ll be compensated for your time. If this is something that interests you, or if you know someone who might, drop me a line and I’ll help you get started. Thanks very much!